Apexeon is a Super Assault Bakugan. It can light up and it makes sounds. It's ball form is similar to Mantris. It'll evolve into Apexeon 2. 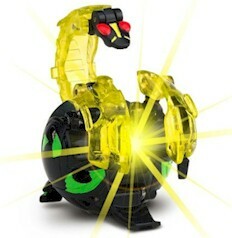 Purchase your Apexeon Bakugan from Amazon now!